“The United States really has to change its policies because they’ve gotten so far behind on trade with China and frankly with other countries,” Trump said at an expanded meeting with President Xi. “And I have great respect for you for that because you are representing China. 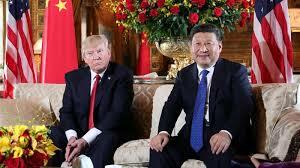 But it’s too bad that past administrations allowed it to get so far out of kilter.”Trump’s two-day visit to Beijing resulted in a number of trade agreements worth $253.4 billion, according to Xi Jinping’s statements during a joint press conference on Thursday. Moreover, on the eve of Trump’s visit, the US and Chinese companies have already signed a number of deals worth $9 billion. With China’s President Xi Jinping promising to making China a major global power at the country’s twice-in-a-decade Party Congress, Japanese Foreign Minister Taro Kono has said that his country would soon propose a top-level security dialogue with the US, India and Australia on board. Speaking to The Nikkei daily, he said that the “idea is for the leaders of the four nations to promote free trade and defence cooperation across a stretch of ocean from the South China Sea, across the Indian Ocean and all the way to Africa”. “We are in an era when Japan has to exert itself diplomatically by drawing a big strategic picture,” Mr. Kono said. 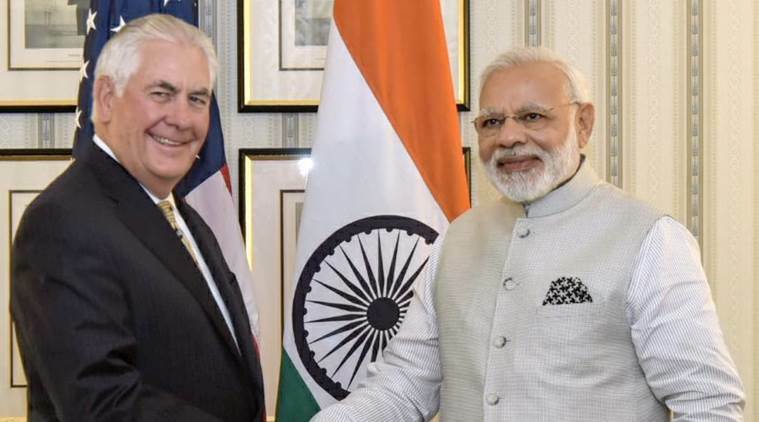 The daily reported that the foreign minister said that he had already had a brief discussion on the same with US Secretary of State Rex Tillerson and Australian Foreign Minister Julie Bishop on the sidelines of a foreign ministers meet in Manila two months back. “Free and open seas will benefit all countries, including China and its Belt and Road Initiative,” he said, adding that dismantling North Korea’s missile programme will also focus prominently in the talks. 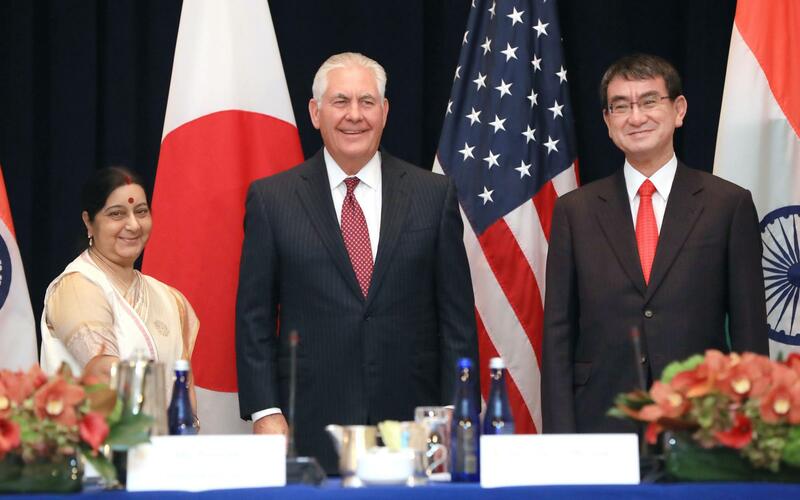 Recently, expressing the US’s evolving view on China’s ambitious project, Mr. Tillerson had expressed concerns over China’s predatory economics and its not-so-responsible rise. Ending months of speculation, China unveiled its top leadership on October 25, with President Xi Jinping emerging as the most powerful Chinese leader since Mao Zedong, and five new members inducted into the Politburo Standing Committee, China’s apex decision-making body.With the world watching closely, the 64-year-old Xi Jinping presented members of the seven-member PSC to hordes of international and Chinese journalists at the imposing Great Hall of the People. 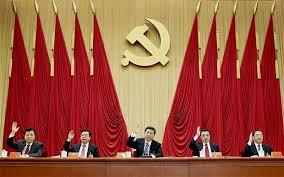 For Xi Jinping, it’s the crowning moment of his decades-old career as his philosophy christened “Xi Jinping Thought” was enshrined in the party constitution at the end of the week-long National Congress on October 24, elevating him to the pantheon of party legends Mao Zedong and Deng Xiaoping.The new team chosen by Xi Jinping includes seasoned party veterans with extensive experience in governance and managing reforms, which signal the president’s commitment to fast-tracking structural transformation of the economy and curbing corruption in public life. 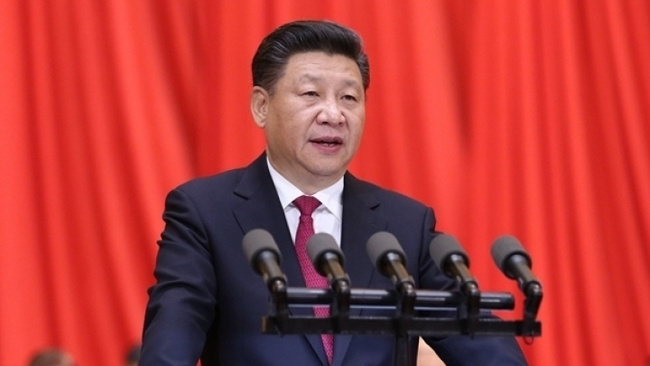 Setting the target for a “moderately prosperous society” and a “fully developed nation”, China’s President Xi Xinping has renewed the focus on the development of socialism with Chinese characteristics and focused on promoting balanced development at the 19th Party Congress of the CPC. 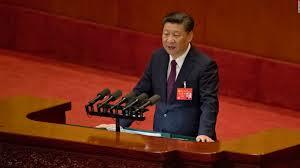 Mr. Xi has been a long- time proponent of a more open and inclusive Chinese economy, often facing flak from neo-Maoists who accuse him of moving away from Chairman Mao’s socialist agends. However, President Xi has been successful in consolidating his hold over the Party and has overseen a steady growth of the Chinese economy. 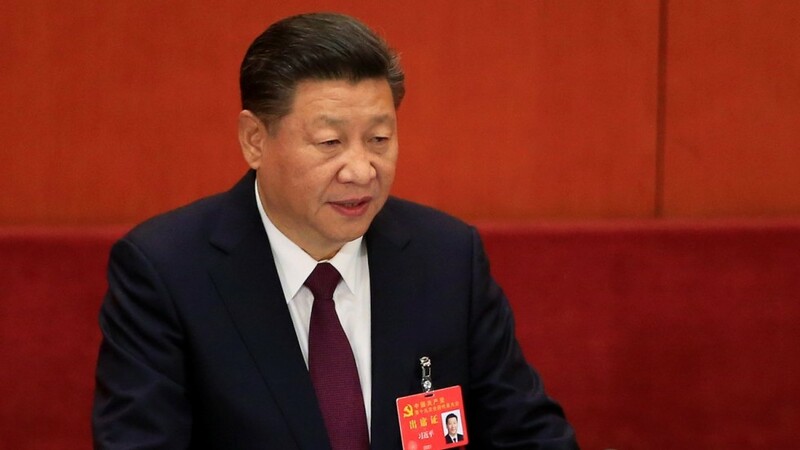 Laying out his strategy in 14 points that included diverse aspects like national security, elder care and reform, Mr. Xi was firm is declaring that “the party leads everything, everywhere”. A call for greater incentive to investment and serious market-oriented reform of its exchange rate as well as its financial system was made by the Chinese leader, while also emphasizing the authority of the state firms in the market. “Openness brings progress for ourselves, seclusion leaves one behind. 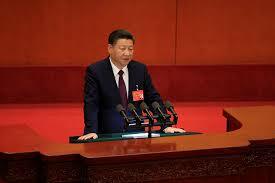 China will not close its doors to the world, we will only become more and more open,” he said. In the global scenario of increased protectionism and isolationist sentiments in the US, China is positioning itself as a major international player, aiding and assisting a host of infrastructural and development projects oversees and leading grand connectivity initiatives like the One Belt One Road. Proclaiming China as the future leader of the developing world, Mr. Xi attacked the pitfalls of the Western-style democracy claiming that “No country alone can handle all the challenges that mankind faces and no country can retreat into self-isolation.” “We have every confidence that we can give full play to the strengths and distinctive features of China’s socialist democracy, and make China’s contribution to the political advancement of mankind… We should not just mechanically copy the political systems of other countries,” he added. Unveiling his vision of a Sino-centric world order at the twice-in-a-decade leadership shuffle, Chinese President Xi Jinping has promised to build China into “a great modern socialist country” by the middle of this century and exhorted the Chinese people to fructify the Chinese dream of national rejuvenation. “This is an era that will see China move closer to the centre of the world and make more contributions to humankind,” he said at the inaugural session of the 19th National Congress of the Communist Party of China (CPC) on October 18. 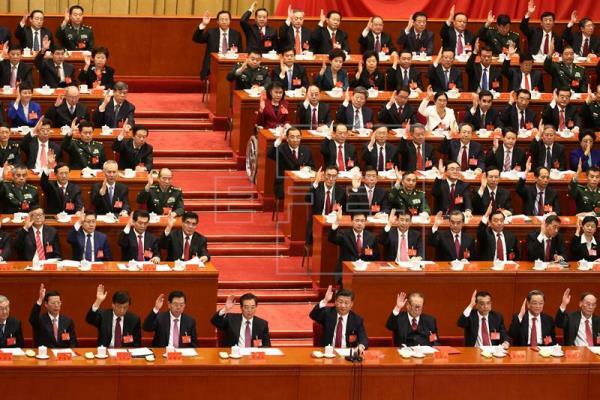 The 19th National Congress of the CPC is poised to be the biggest political shake-up in China’s recent history, and looks set to elevate and consolidate Xi’s status as one of the most powerful leaders of China.